The Scandinavian-theme is not set to back down any time soon and most homeware retailers have adopted the light wood + artificial plants as part of their interiors. The simplicity and naturalism involved in this theme is also complimented by the often-present exposed brick, reclaimed wood and eco-friendly living walls. Strong materials in-store mean a slightly more muted colour palette, with washed white or pale grey walls and floors. With homeware stores following 2016 interior trends with the use of blue tones – mainly navy – and copper metals, we predict that Pantone’s colour of the year will soon make an appearance in-store. Outside of the product lines, homeware stores have also utilised materials to form structures that often depict a house or the shape of housewares. Virgin Media* – not a homeware store but rather media solutions for the home – have mimicked the comforts of a family home to display their latest products; complete with an artificial living room and garden. Offering customers in-store experiences has been the talk of the retail-town for months and 2016 saw brands taking on this trend; one which is set to increase further in 2017. 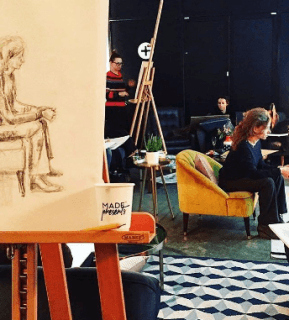 From more simple dwell areas such as SCP’s* coffee and relaxed seating area through to pop-up bars, workshops and events – homeware retailers have certainly upped their game when it comes to entertaining customer experiences. Whilst some reports suggest that e-commerce stores outperform bricks and mortar, it’s important to remember the tactility and interaction that a physical homeware store can offer. 2016 saw an increase in tactile areas in-store, including Heals’* advanced material area for mattresses and Made.com’s information postcard wall with fabric samples to take away. The inspiration that online platforms such as Pinterest offer, has been implemented by homeware brands in their bricks and mortar stores. Dedicated hubs or design areas in-store have been introduced to inspire customers with latest colour palettes, material trends etc. 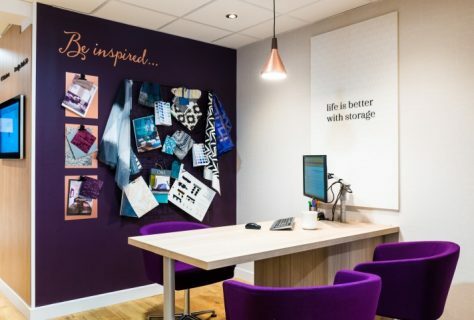 Taking on board this trend, D4R introduced an inspirational design hub for Hammonds’ showroom in Leicestershire last year. There is a growing interest in the concept of a smart home and many brands are cottoning onto this; after all, where better to test this ideal reality than within a replica home? Taking John Lewis* as inspiration, they have dedicated a space in their Oxford Street store to smart home technology; showcasing a completely digital room set. By creating this physical experience store, they hope to ‘demystify the latest smartest technology’ for customers. Redesigning a home is a costly venture and so many retailers have begun to adopt virtual reality to highlight a design option without the cost attached. 2016 saw Ikea introduce a pilot app which allowed a user to stand in their own home and use a headset to virtually change the design of their home. 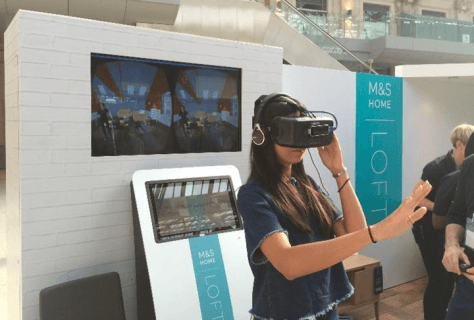 Following our experience of VR stands at London Design Festival and IFA Berlin, we expect to see more of this innovative VR technology throughout 2017. Essentially this is another form of virtual reality but this time it’s for direct shopping. The beauty industry has already introduced this trend into their stores, such as Sephora’s digital store, but homeware retailers have also jumped on board. 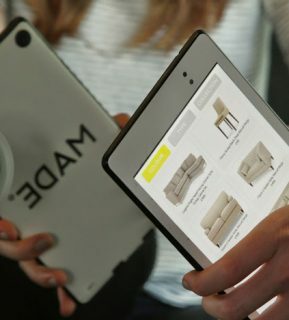 Last year, Made.com* opened their Soho showroom with NFC Cloudtag tablets; enabling customers to scan products in store and add them to a wish list for purchasing later. 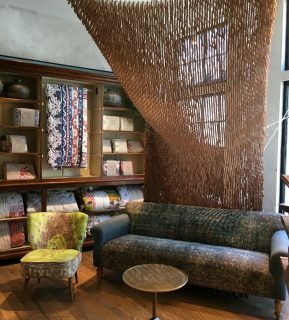 Whilst other industries such as beauty and sports may have been faster to adopt the customer experience and technology retail trends, homeware brands are certainly picked up the pace when it comes to reimagining their retail design. We expect to see dwell areas, virtual reality and tactile areas expand greatly in 2017.